When you have a driveway gate installed at your residential home or your commercial business it can be a real pain to have to get out of your vehicle every time you want to leave or come back. This is why you need a driveway gate opener. If you call our company in Federal Way we can supply and install an opener to you. Also we do every service from emergency calls to repairs and installations not only on openers but everything from repairs to installations involving gates and fences. Call us and if it is an emergency we will head right your way. The best thing about our services is we are here to take your call twenty four hours in a day and 7 days in a week. Call our driveway gate company today. 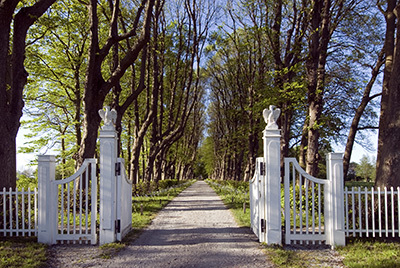 As residential gate repair experts, we guarantee excellence in all services. Our assistance is invaluable when gates do not close well, the safety of the client is compromised or parts require replacement. We are familiar with various types of gates and know how to deal with problems related to gates manufactured by all brands. Proficient technicians retain experience in gate opener installation, repairs, and one issue they pay extra attention to is the delicate sensors. Assuredly, they are installed and maintained properly so customers gain peace of mind. Professionals are at the service of everyone interested in right adjustments, intercom installation, opener repair, and gate maintenance. An ardent team fixes and replaces parts, confirming the gate is safe and ensuring proper operation. As we said a driveway gate opener will make life easier for you. They make it a lot easier to pull up in your vehicle plus just put in a code and drive on through. We have several driveway gates openers that you can choose from. These are Elite, GTO Pro, Doorking, Eagle, FAAC, Ramset, as well as every O Matic to just name a few. These openers will work with swinging gates and sliding gates; just make sure you are buying the correct one. All of the brands that our company driveway gate in Federal Way has our top of the line brands, because we feel our customers deserve the best. When you buy a driveway gate opener you need to consider safety precautions also. When you talk to one of our fence/gate contractors tell them you want to talk about making sure your gate opener has a safety loop. These are usually with photo eye sensors. What these do is make sure that a vehicle or a person never gets caught in the gate. If there is blocking the gate when it is trying to close the sensors will reverse the gate so that no one or nothing gets crushed. Call our driveway gate openers company in Federal Way and ask about our safety products. 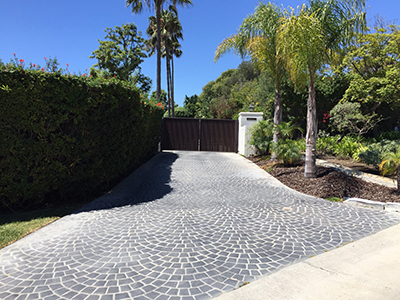 Our driveway gate company does a lot more services for you besides driveway gate openers. We also will install or repair phone intercom systems. We can repair all parts on your fence or your gate from the springs on the gate to the posts on the fence. We can also do all welding services that may be needed. We customize fences and gates to your specifications. Let’s face it there is nothing we cannot do when it comes to gates and fences and their related parts. Our driveway gate openers in Federal Way are the best priced company in this city and we will give you the highest quality of work. We do this because we care and we want to continue to the company that people turn to when they need help. So pick up the phone and call us today and let us show you why we are the best around.